Zavod Kolektiva is an NGO organization based in Ljubljana, Slovenia. It was established in 2008 by the art group KOLEKTIVA. It is run by artists Vesna Bukovec and Metka Zupanic and it is active in the field of contemporary visual art, with the focus on contemporary video. 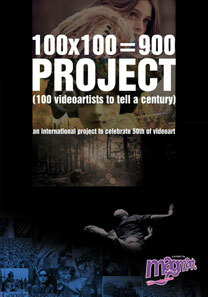 It is producing KOLEKTIVA’s art projects and producing, co-producing, organizing and curating video exhibitions. It is actively cooperating with international artists, curators and institutions. Zavod Kolektiva doesn’t have it’s own space and it is closely collaborating with Photon Gallery which hosts and co-produces most of exhibitions and events organized by Zavod Kolektiva. Zavod Kolektiva curates and co-produces (together with Photon Gallery) international video festival Video in Progress which has started as a small scale exhibition and has grown to a festival in its fourth edition in 2011. It is also organizing Video Evenings in Photon Gallery – monthly events with screening video selections prepared by various invited artists, curators, institutions, associations and festivals.